Heidenberg Properties Group develops, owns and manages a diverse portfolio of strategically located open air shopping centers and retail properties. Our portfolio consists of over 2,200,000 square feet of retail space concentrated in New York, New Jersey, Pennsylvania, Vermont, and Michigan. Each property reflects our commitment to good real estate fundamentals. We acquire, develop, and manage assets in densely populated markets or in areas with high barriers to entry. 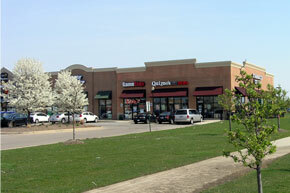 The portfolio includes large regional shopping centers, neighborhood and community properties, and single tenant assets. Heidenberg Properties Group actively pursues the acquisition of shopping centers, single-tenant free-standing properties, and secured notes. We have the capability to absorb entire portfolios and have experience with a wide range of financing structures. Heidenberg Properties Group takes prides in our track record of acquiring and repositioning under-performing shopping centers. 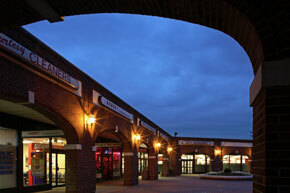 With over 30 years of experience, we have earned a reputation for transforming tired, old and underutilized properties into thriving community shopping centers. From single-tenant properties to major regional shopping centers, Heidenberg Properties Group has proven our financial and transactional capabilities. Our ability to understand, underwrite and turn around complex projects is the foundation of our success. Find out more. Heidenberg Properties Group embraces all types of development initiatives, including ground-up development in both large and small markets. We have consistently demonstrated our ability to assemble strategically located properties and create thriving retail centers. Our development team harnesses a wide range of experience and capabilities to maximize value. We pride ourselves on delivering new projects on time and on budget. 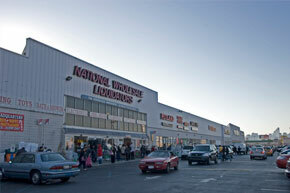 Major national and regional retailers rely on Heidenberg Properties Group for our proven development performance. Heidenberg Properties Group actively manages our own retail portfolio. Our in-house management, construction, and leasing team, in addition to our network of partners, draws upon years of experience to ensure our shopping centers have high occupancy rates and top national, regional and local retailers.